You might expect NBA players to know when and where to take their shots. They get paid millions of dollars a year to work out, avoid hitting their heads on door frames, and put the ball in the basket. Yet even years of training can't overcome a basic human superstition about our own behaviors: We believe that whatever just happened is about to happen again. If we stopped trusting in streakiness, we might all score more points. Tal Neiman and Yonatan Lowenstein, researchers in Israel with a mysterious interest in professional American basketball, scrutinized play-by-play accounts of games from the 2007-08 and 2008-09 seasons. Their analysis included 291 NBA players and 41 WNBA players (indicating a good grasp of Americans' proportional interest in women's sports). Specifically, the researchers were interested in decisions players make after hitting, or missing, a 3-point shot. After a successful 3-pointer, what are the odds that a player's next attempt is another 3 (rather than a 2-pointer)? What about after a missed 3-point shot? For both men and women, the success or failure of a 3-pointer had a major influence on what their next shot was. After sinking a 3-point shot, NBA players attempted a second one 41% of the time. But after missing a 3-pointer, only 30% of follow-up shots were 3's. The numbers were remarkably similar for women: 41% of shots attempted right after a sunk 3-pointer were also 3's, but that number went down to 34% after a missed 3-point attempt. Men and women were so similar in their behaviors, in fact, that the researchers could pool their data for further analysis. But there was at least one major outlier, politely referred to as "the Most Valuable Player (MVP) of the 2007-2008 season." Although he didn't name that player, we can hear the authors' implied "cough, KOBE, cough." A big believer in his own hot hands, Kobe Bryant followed more than half of his sunk 3-pointers with another 3-point attempt. But after missing a 3-pointer, he tried again only 14% of the time. 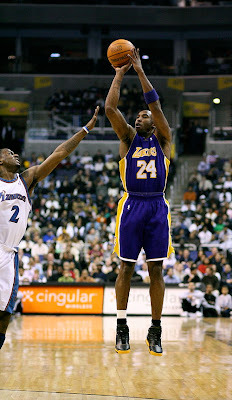 Kobe or not, basketball players are clearly more eager to take a second 3-point shot after they've sunk the first one. And they're even more likely to line up a 3-pointer after making two in a row. Intellectually or just instinctively, they believe this to be a good strategy. But there's bad news: it's not. The authors say this is an example of "reinforcement learning." Like a dog that sits on cue or a laboratory pigeon that pecks at the right button, getting an immediate reward tells us we should repeat our behavior. The basketball players in this study are "overgeneralizing": they ignore what they've learned about a shot's likelihood of success in general, and respond only to the emotional reward of their last sunk shot. And like a rat in a maze getting a tiny electrical shock, players who miss a shot respond to the pain of that most recent experience. Overgeneralizing is obviously hard to overcome. We're wired to learn by experience, and that might be what leads us to trust in streaks. A success makes us feel like we'll succeed again; a failure suggests more failure. 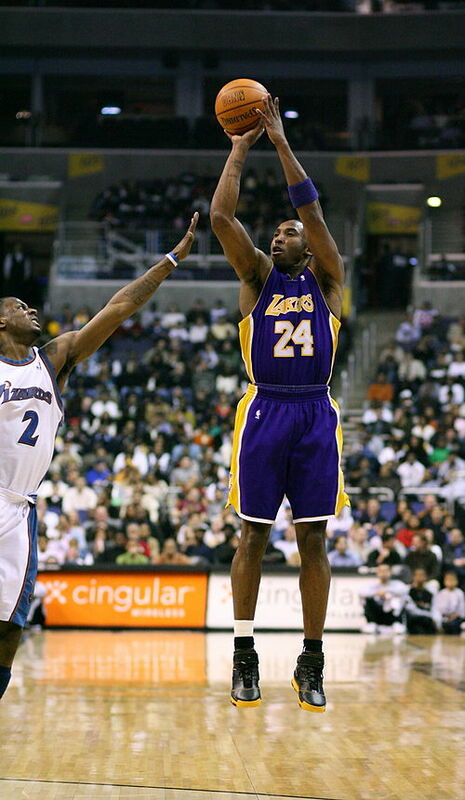 But if we could remember that every shot on net is a new one, we might all (even Kobe) make better decisions.